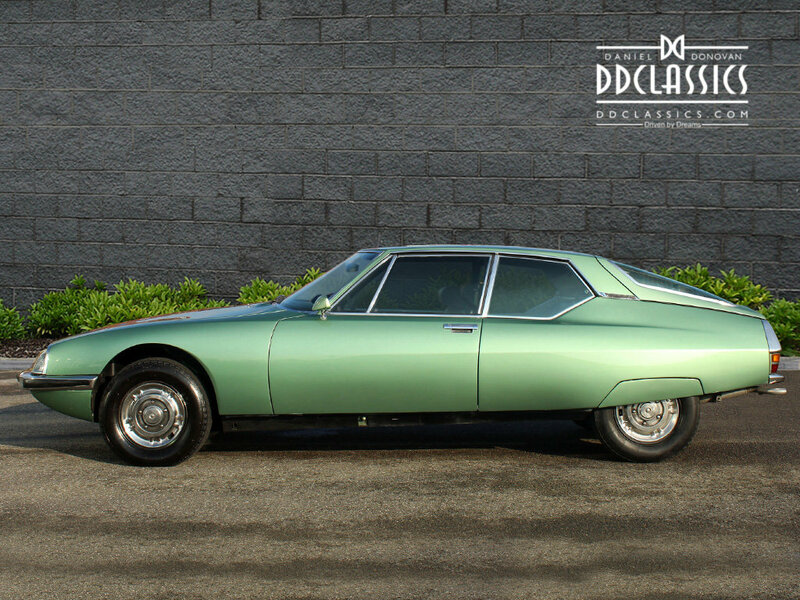 The Citroën SM is a truly fascinating car that epitomizes Citroën long tradition of innovation and disregard for convention. Their previous track record included the Traction Avant, one of the world’s first front wheel drive cars, the 2CV, whose main competition was the donkey cart, and the DS, a stunning family car that was aerodynamic, beautiful, futuristic, and offered the first mass-produced application of disc brakes, a monocoque chassis, and a magic carpet smooth ride thanks to its adjustable height oleopneumatic suspension. 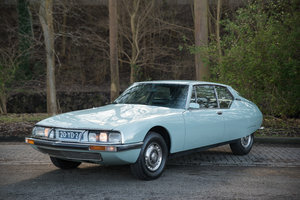 The SM was introduced as Citroën flagship in 1970. 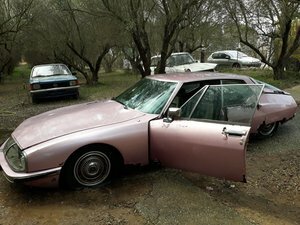 The company had purchased Maserati in 1968, an important piece of Citroën plan to build a high-performance GT that was related to the DS. 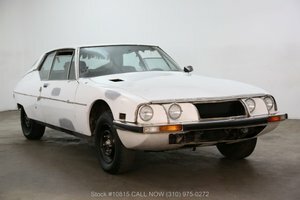 Citroën asked Maserati to develop a six cylinder engine, which would be used both in this car and a new small Maserati to compete with Ferrari’s Dino, the Merak. The 90 degree V6 featured quad cams, made typically Italian noises, and was coupled either to a 5-speed manual or an automatic transmission. 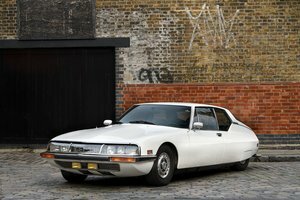 The SM was extraordinarily aerodynamic, with a Kamm tail, sloping roofline, and attentive streamlining, which gave the car a coefficient of drag of just .26, well below the typical modern car and absolutely unparalleled 45 years ago. The front track was wider than the rear track, giving the car a tapered planform, and the car featured disc brakes all round, which were inboard at the front to reduce unsprung weight. 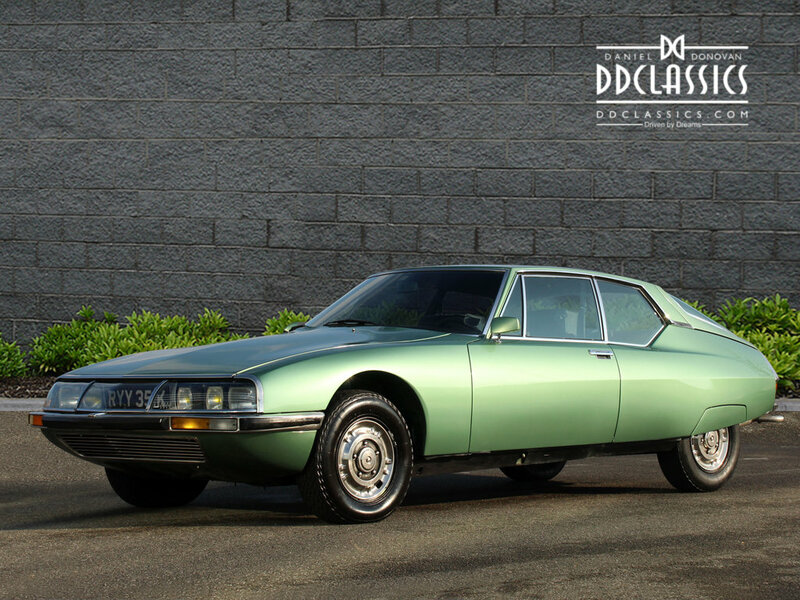 The height adjustable oleopneumatic suspension was similar to that of the DS and offered an exceptional ride. The list of innovations goes on and on, with the first introduction of variable assist power steering, automatically adjusted hydraulic brake bias based on the weight distribution of the car, and many others. The car was and remains a true revelation. Indeed, Road & Track declared it one of the 10 Best Cars in the World in 1971, and it was awarded the Motor Trend Car of the Year award in 1972, a shocking achievement because even today, the award is typically bestowed on an American car. Indeed, the 1985 Volkswagen GTI was the only other non-American car to win the award until 2003. 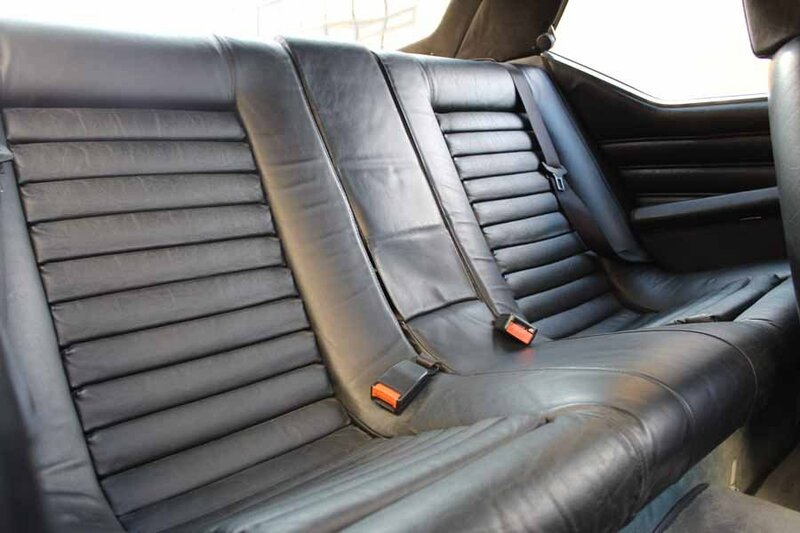 The SM was good for a genuine 140mph, making it the fastest front wheel drive car in the world at the time, and Popular Science also noted that it had the shortest stopping distance of any car they had ever tested. Finished in Vert Iroise Metallic with Charcoal Black hide. 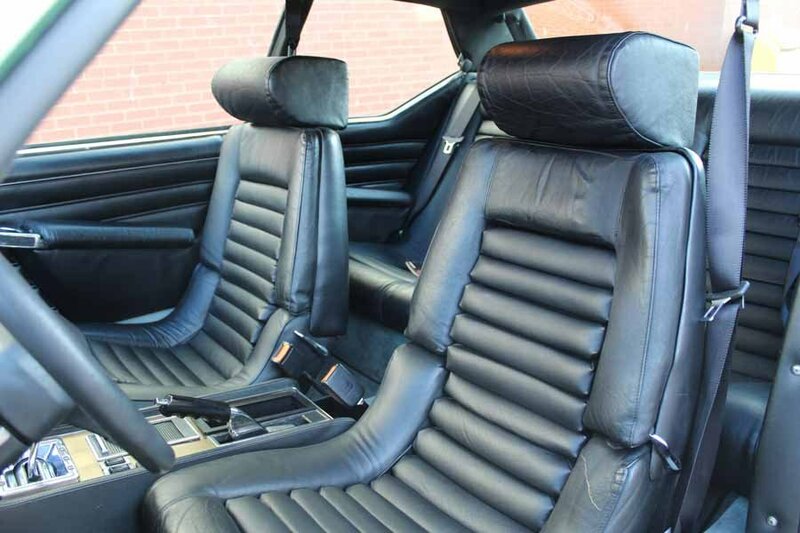 This European delivered car is fitted with the highly desirable 2670cc engine coupled with triple Webber carburetors. 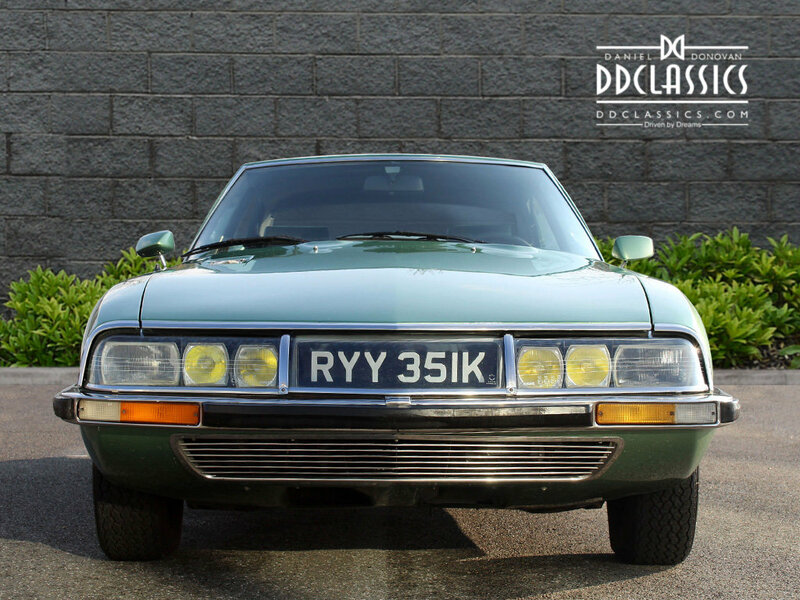 First registered in France where the SM resided up until crossing the English channel in the early part of 1997. Upon its arrival by its new owner, it was inspected and prepared in preparation to road register in the UK by international renowned marque specialists Andrew Brodie Engineering. It was at this point that the car was uprated to 90 amp alternator fitted plus miscellaneous improvements. The car was solely maintained by Brodies for the next 10 years before passing onto its next UK owner, who immediately fitted 4 inertia seat belts and MPH speedometer ( the car still has its original KMS dial ) It was during this ownership the car underwent huge mechanical refurbishment with works including new clutch kit, clutch slave cylinder, exhaust valves, water pump, timing chain, exhaust manifold, front and lower bump stops, brakes, control valve body, main bearing, valve seats, valve guides, timing chain tensioners, new steering rack, accumulators to just name some of works this fastidious owner had carried out whilst in his ownership. 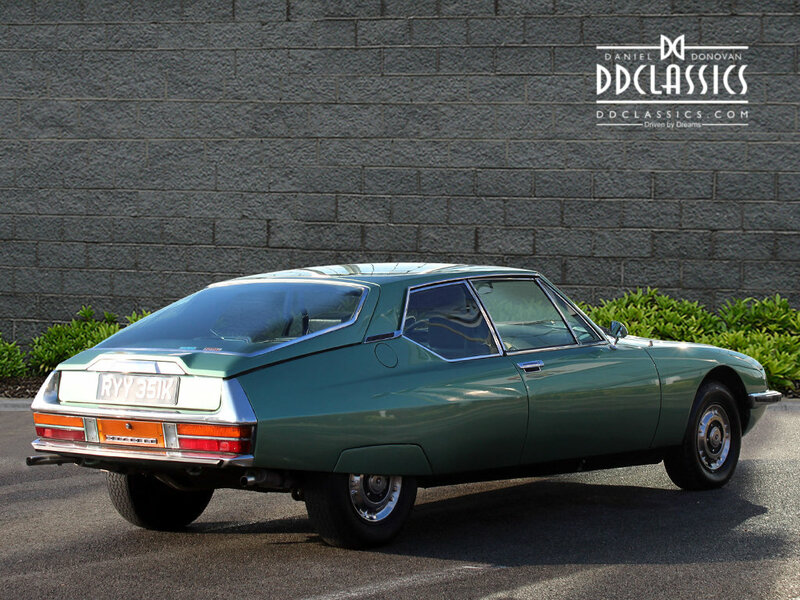 We at DD Classic are proud to offer this ultra special Europen delivered carburetor Citroën SM, having owned these cars over the last 40 years we say this with some knowledge of the marque. This an extremely special opportunity to acquire possible one of best driving examples available and offered for sale for the first time in the last ten years. Accompanied with a wealth of history spanning over 20 years and original owner-driver handbook, viewing is highly recommended.